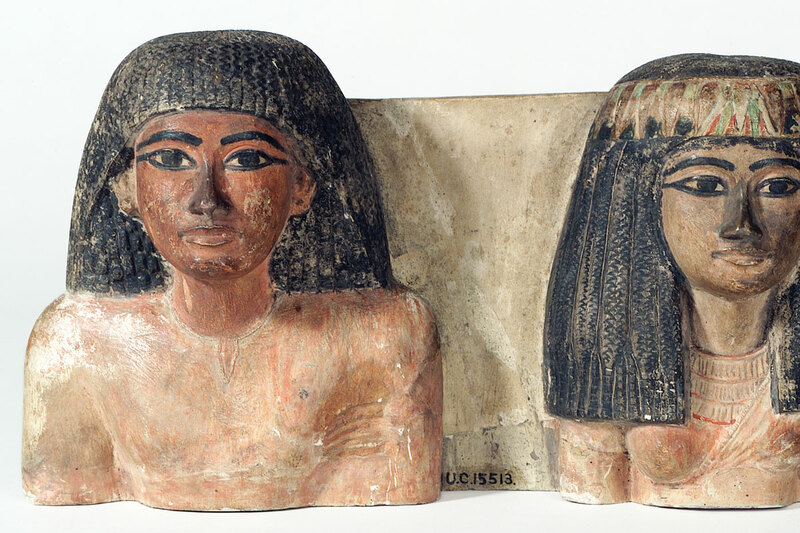 With its 80,000 exhibits, the Petrie is bursting at its seams with items from the Nile valley dating back 5,000 years. On display are everyday Egyptian objects such as pots, bowls, jewellery, combs and tiles. UC15513, Courtesy of the Petrie Museum of Egyptian Archaeology, UCL. Husband and wife statue dating to the New Kingdom, 1352-1292 BC.